Is there anything more special than a wall of photographs featuring family and friends? Showcase your favorite memories by putting together a picture-perfect picture wall. Too much wall space is never a bad thing, but what do you do if you’ve run out of art and other wall décor? After you’ve hung your wall clocks, decorative plates, and kids' art and there’s still room for more, head to your photograph collection to complete your space. Picture walls are perfect for almost any room of your home. They can add life and energy to an otherwise neutral, blah space. Here’s what you need to know to create a picture perfect picture wall. Before you start hanging frames, it’s vital you know how much space you’re working with. Gather a tape measure, a pencil, and paper. Measure the entire area you want to cover, both length and width. Mark the center point of the space across and up and down. This step is mainly just to help you get a grasp on how many frames you need and what size pictures you can accommodate. Next, select the photographs you want to feature. Select one main photograph to act as the wall’s main feature (commonly referred to as an “anchor” photograph). Then, find photographs of varying sizes, including a mix of oversized pictures (10-by-13 inches or larger) and smaller ones (8-by-10 inches or smaller) to fill out the rest of the space. Consider a theme, such as pictures of your immediate family, a wall featuring memories of your children and pets, friends, vacations, etc. 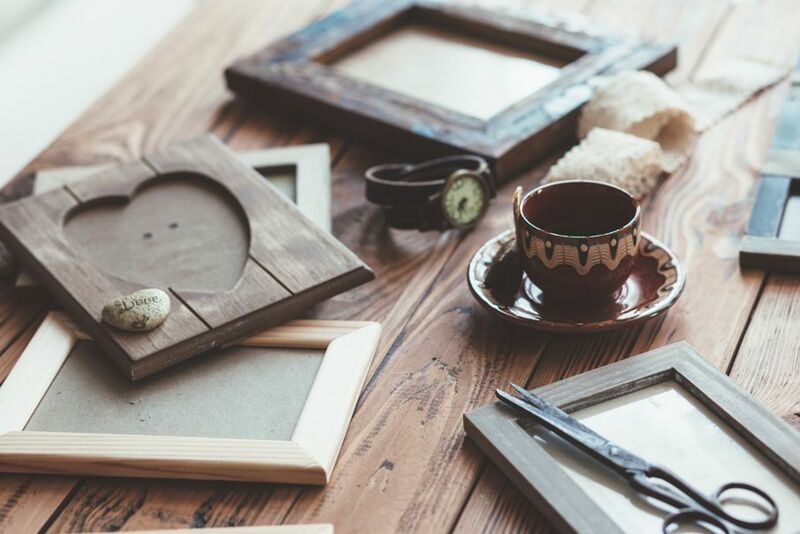 If you’re not intimidated by an eclectic mix, then choose a variety of frames that match your preferred decorating style and fit your photographs. However, keep in mind that most gallery walls look best when there are a limited (one to three) types of frame styles and colors. 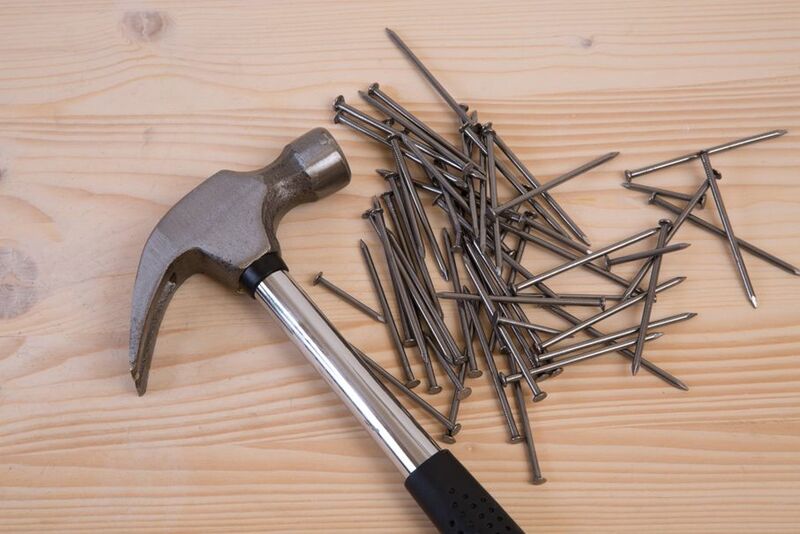 If you’re not securing the nails directly into a wood stud, then consider the weight of the picture and remedy accordingly. You may need to to use drywall anchors or, at the very least, heavy-duty hangers to ensure the picture stays up and doesn’t damage the drywall. After framing all your photographs, start by placing your center “anchor” one where you want it to hang. Of course, you don’t necessarily have to place this in the middle of the wall. However, you want this photograph to be the main focus, so make sure it’s in a premier spot around eye-level. Since this photograph is likely one of the biggest ones that you’ll put on your wall, it may have two hooks on either side of the frame. To keep the frame level, use 18- or 20-gauge steel picture wire and wrap it around both hooks. Now, you only have to use one hanger/nail instead of two! Use a picture hanger and nail or drywall anchor and screw and place it where you want to hang the photograph. Finally, arrange the rest of your photographs around the anchor photo, maintaining a uniform distance from one frame to the next. If you run into issues with measuring and finding the best place to put each frame, cut pieces of paper based on the size of each frame and tape them to the wall. 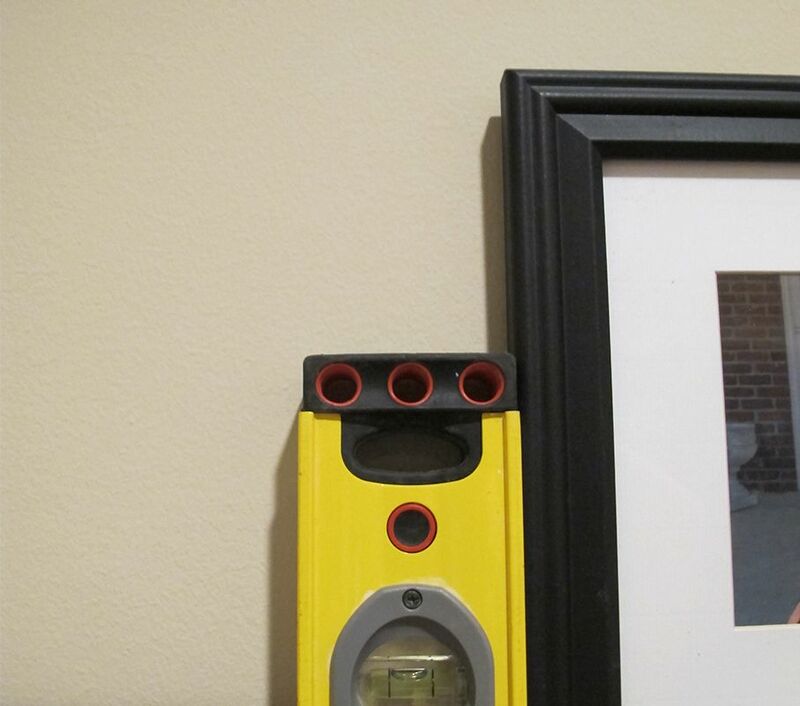 This will allow you to measure and hang each photograph more easily. Sometimes, no matter how hard you try, your house may shake and thus, your photographs move. And, if you’re anything like me, a tilted picture is enough to drive you insane. To remedy, cut small strips of double-sided adhesive and place on both corners of the frame. Then, while using a level to ensure the frame is straight, press the tape firmly against the wall. Voila! They’re not going anywhere. 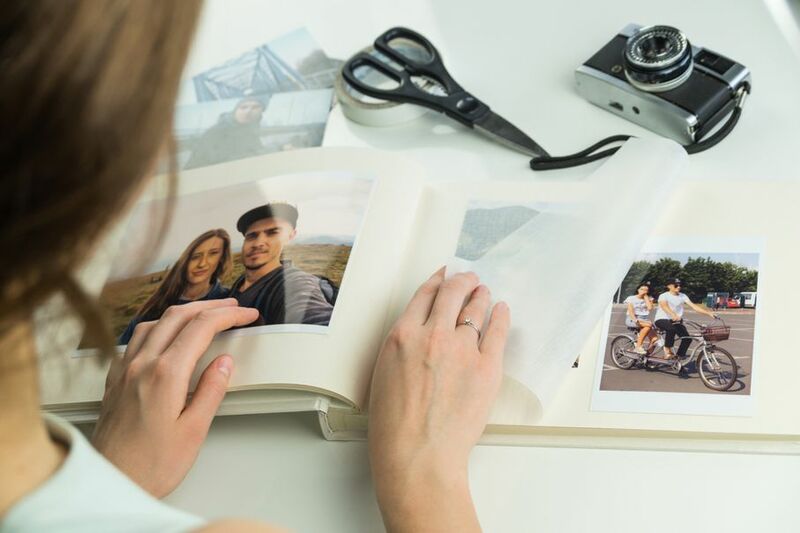 It takes a bit of time, but once you’ve mastered one picture wall, there’s no stopping you from covering more walls throughout your home with photos of your favorite memories.